Entered by: Schulschiffverein Großherzogin Elisabeth e.V. Grossherzogin Elisabeth was built in 1909 as a trading schooner called San Antonio. In 1936, their rig was dismantled and her diesel engine was replaced with a stronger one. She then traded as a motor coaster until 1971 when she was sold to German owners who refitted the rig and reconstructed her to the sail passenger ship Ariadne. In 1982, An Elsfleth ship owner took her to her new home port, where she has been ever since, and used as a hostel and training ship for ship’s mechanics and nautical officers. She is owned by the non-commercial association alled Schulschiffverein “Grossherzogin Elisabeth” e.V. 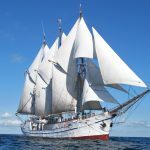 in Elsfleth/Weser and operated by a voluntary crew performing day cruises on river Weser and weekend trips in the German Bight and, during summer vacations, extended voyages in the North Sea and the Baltic. Whenever possible, she also takes part in the Tall Ship’s Races – sometimes with great success. On board the “Grossherzogin Elisabeth” you will understand what teamwork means. Setting up a sail alone is impossible, but it’s fun with a good working team. For navigating a tall ship it is vital to have a crew that stands together as we do, and you will be an integrated part of it. Also, you will experience the forces of nature first hand. For example, we use the wind to master the sometimes challenging conditions at sea, and together we will reach our destination first. 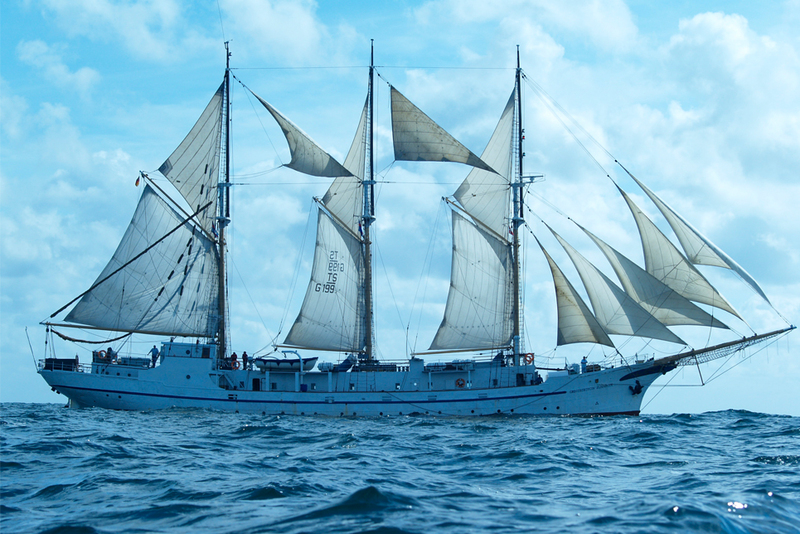 Even though our vessel is already an old lady – she is more than 100 years old – the accommodation is comfortable. Two or three trainees will share one cabin with an own bathroom. But during your trip on board you don’t want to stay that much downstairs. There is a lot of interesting stuff on board that wants to be discovered. Or you just relax on deck, inside our mess room playing cards, or enjoy life with new friends. 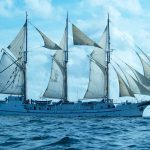 As a trainee on board the sail training vessel Grossherzogin Elisabeth you will be included in all activities. Our watch system consists of three watches, which are: 0-4, 4-8 and 8-12, each twice a day in charge of the ship. During the voyage you will be part of one of these three watches. The permanent crew will introduce you step by step to all jobs that are important to operate and sail the vessel. This includes, but is not limited to: steering, lookout and working with the sails. Of course you will be allowed to go aloft into the rigging, for example for unlashing the sails or simply to enjoy the great view from 30 meters above the deck. Our permanent crew ensures safe operation, and will assist with words and deeds. You will learn all aspects of good seaman-ship and sailor’s tradition. 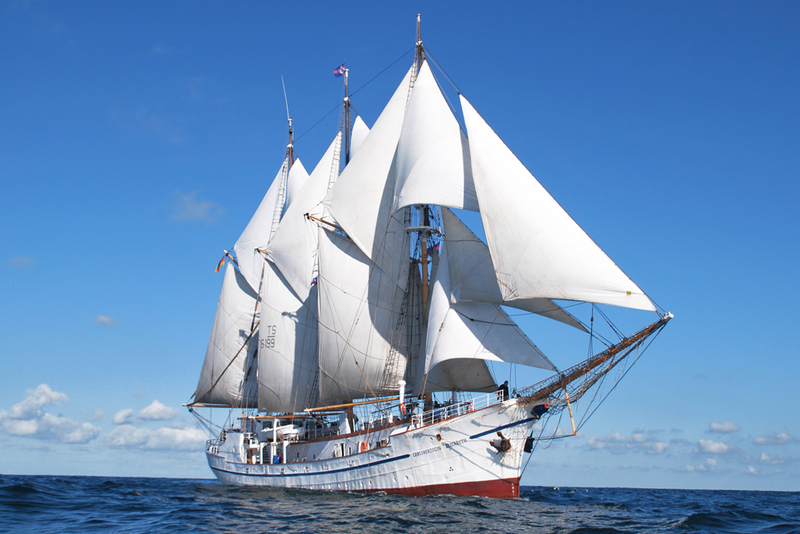 For those who want to stay with us: We regularly sail the North and Baltic Sea. Our homeport is situated in the north-western part of Germany in the area of Oldenburg/Bremen at the Weser River. Especially in the winter season we come together for getting vessel and crew fit for new adventures.